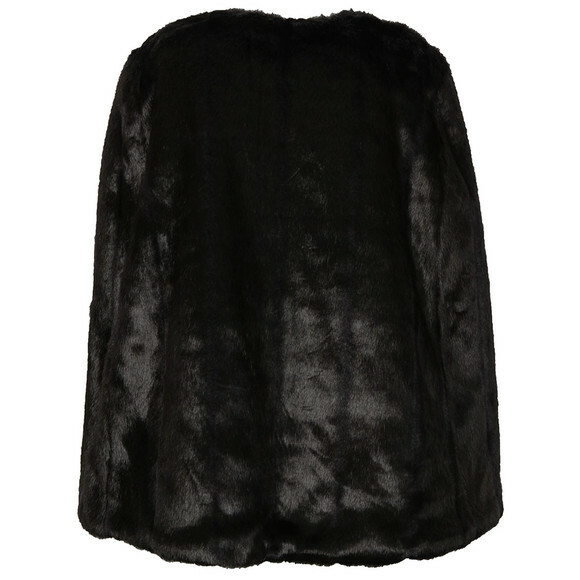 Michael Kors Reversible Faux Fur Cape offers the option of two versatile looks. 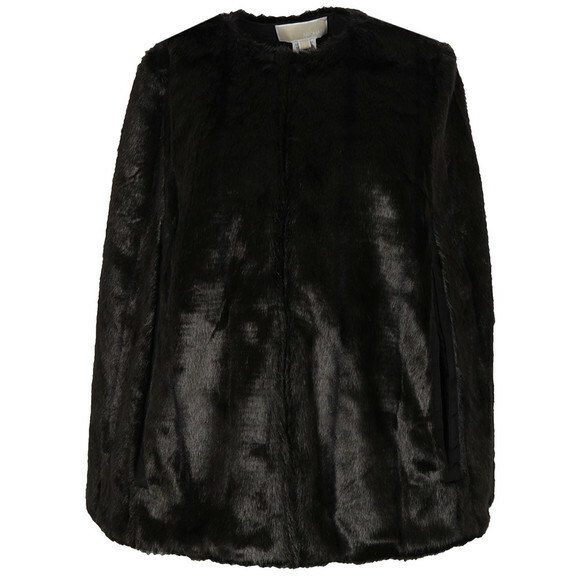 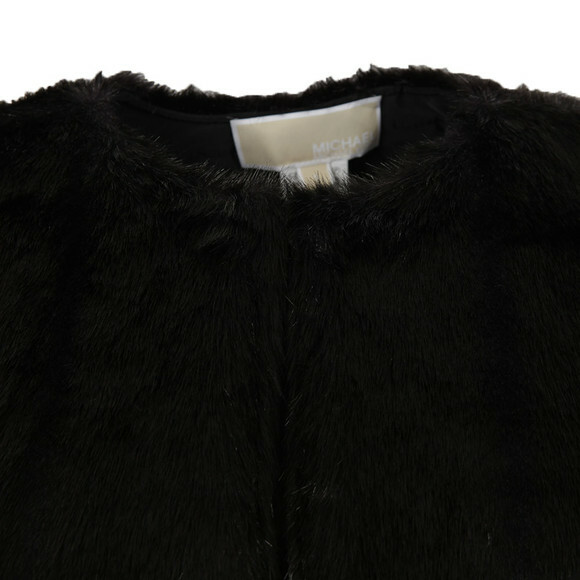 Wear the black faux fur cape for a luxurious, dressed up look or reverse and use the quilted body for a more casual look. 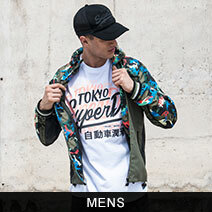 A silver MK logo is also displayed to the chest.